The NBA preseason is in full swing. This is great news for basketball fans across the world and there are plenty of storylines to discuss. Here is our list of top 10 NBA preseason storylines. 10. 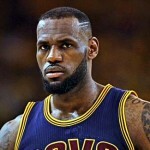 Are the Cleveland Cavaliers still a playoff team following the departure of LeBron James? 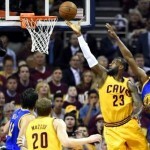 One of the biggest storylines coming into the NBA preseason pertained to Cleveland Cavaliers. The Cavs have been the toast of the town in the Eastern Conference the past four NBA seasons. Led by LeBron James and Kyrie Irving, the franchise produced its first-ever championship in 2016. Now that James has left, it would be reasonable to presume that the Cavs are a lottery-bound team, right? Well, not if you ask forward Tristan Thompson. While Thompson’s confidence level is certainly admirable, the Cavs are not the best team in the conference following James’ departure. In other words, the Cavs run of NBA Finals appearances will come to an end. The Miami Heat selected Dwyane Wade with the fifth overall pick in the 2003 NBA Draft. Over the next 13 seasons, he would become the team’s most accomplished player, en route to winning three NBA titles. Following the 2015-16 season, however, Wade returned to his hometown after he and the Heat failed to reach an agreement on a long-term deal. After a one-year stay in the Windy City and an even shorter stay with the Cavaliers, Wade was eventually traded back to the Heat. It took a while for Wade to decide on his future prior to the start of the NBA preseason. Now that the 12-time All-Star has promised that this will be his final season with the franchise that drafted him 15 years ago, does the player formerly known as “Flash” have enough in the tank to help the Heat make a return trip to the playoffs or will his last dance be a mere footnote in what has been a remarkable career? 8. 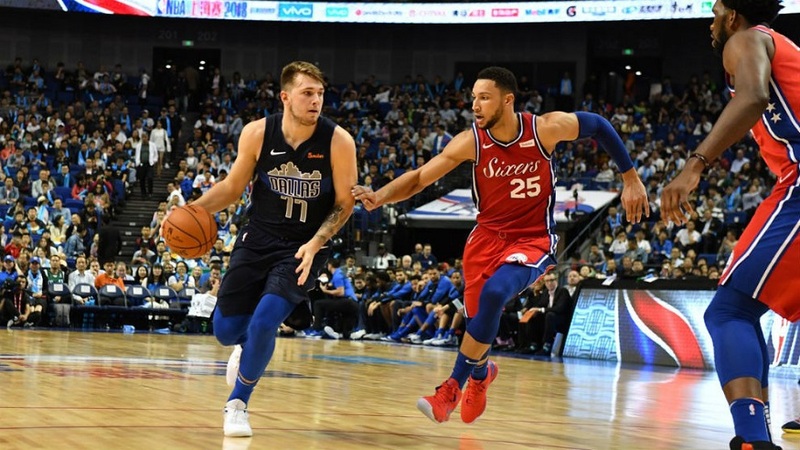 Will Luka Doncic be a difference-maker for the Dallas Mavericks? There were several talented big men in this year’s NBA Draft. But the Dallas Mavericks had their eyes on just one player. That player in question was Luka Doncic. The reigning EuroLeague MVP compiled averages 14.5 points, 5.2 rebounds and 4.6 assists on 45.6 percent shooting last season. How badly did the Mavs want Doncic? Well, when it became apparent that he may not be on the board at No. 5, the team moved quickly to work out a deal with the Atlanta Hawks, who had the third overall pick. The Hawks selected Doncic at No. 3 and traded his rights to the Mavs in exchange for Trae Young and a protected first-round pick in 2019. As expected, head coach Rick Carlisle had nothing but good things to say about the team’s prized rookie. Ironically, it was 20 years ago when the Mavs drafted Dirk Nowitzki. And after 12 NBA seasons, he eventually led the team to its only title in 2011. With Nowitzki entering the last NBA season, can another international sensation help the Mavs earn a playoff berth? It will be interesting to see how the past and present blend for the Mavs this season. 7. Which team will Jimmy Butler suit up for this season? For the second year in a row, Minnesota Timberwolves are making headlines going into the NBA preseason. Tom Thibodeau took a gamble in a 2017 draft-night trade with the Chicago Bulls. He sent Kris Dunn, Zach LaVine and the No. 7 pick – Lauri Markkanen, to Chicago. In return, Minnesota acquired Jimmy Butler and the No. 16 pick. Initially, the consensus was that Minnesota got the better end of the deal. A year later, though, that may not be the case. Yes, the Timberwolves did earn their first postseason berth in 14 seasons. Conversely, the Bulls missed the playoffs for the second time in three years. On the other hand, Butler’s days in the Twin Cities appear to be numbered. He has demanded to be traded and the team’s owner Glen Taylor is happy to grant his request. Trade rumors involving Butler has dominated the NBA preseason news for a while. Butler is a player who always goes the extra mile at both ends of the floor. Along with that, he attained his star status through sheer effort and hard work. But being that his time in Chicago didn’t end on a positive note, along with rumors about him not being happy with some of his teammates, it will be interesting to see how much teams are willing to give up in order to acquire his services. Even more to the point, can the team resolve this issue before the conclusion of the NBA preseason? 6. How will OKC Thunder fare with Russell Westbrook and Paul George leading the way? On one hand, the Thunder and Carmelo Anthony parted ways during the NBA offseason. 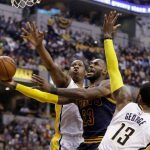 On the other hand, Paul George decided to sign a multi-year deal to remain with the team. Pairing another elite scorer to play alongside Westbrook is a win-win all the way around. Unfortunately, the Thunder won’t escape the NBA preseason without a setback. The setback in question is Westbrook, who underwent arthroscopic surgery on his right knee two weeks ago. This will force him to miss the entire NBA preseason and possibly the first few games of the season as well. Despite the fact this is the fourth surgery Westbrook has had on his right knee, the team isn’t expecting the procedure to have any lingering effects throughout the season. Last season, the Thunder finished with the fourth-best record in the Western Conference. But despite having home-court advantage in the first round, the Thunder fell to the Utah Jazz in six games. Once Westbrook returns, can this duo help the Thunder avoid another disappointing first-round playoff exit? 5. Following an active NBA offseason, are the Chicago Bulls a legitimate playoff contender? For all intent purposes, last season was a rebuilding year for the Chicago Bulls. With a roster comprised of mostly young and unproven players, the Bulls won just 27 games last season. The good news is Chicago did very well in this year’s NBA Draft. At No. 7, they selected Wendell Carter Jr. out of Duke University. Carter has proven he can be a presence at both ends of the floor and will contribute from day one. With the No. 22 pick, the Bulls took Chandler Hutchison from Boise State. Hutchison finished his collegiate career with averages of 20.0 points, 7.7 rebounds and 3.5 assists per contest. He also shot 47.5 percent from the field and 35.9 percent from deep. Simply put, he can do a bit of everything. The Bulls also retained Zach LaVine and signed Jabari Parker to a two-year, $40 million deal. Although Parker isn’t a great defender, adding another scorer to the starting lineup will benefit Chicago. Although defense will be an issue, the Bulls have enough talent to compete for one of the lower playoff seedings in the East, barring any significant injuries to key players, of course. 4. Which team will represent the Eastern Conference in the NBA Finals? To say that LeBron James’ teams have fared well over the past few seasons would be a gross understatement. In fact, James has been in the NBA Finals in each of the last eight seasons. Now that James is out West, the question is who now becomes the beast of the East? In 2017-18, the Philadelphia 76ers returned to the postseason after five consecutive years of being on the outside looking in. They ousted the Miami Heat in the opening round before bowing out to the Boston Celtics in five games in the conference semifinals. Winning more than 50 games for the first time since 2000-01, chances are the Sixers will build on what they accomplished last year. Realistically, though, it’s tough to foresee them getting all the way to the Finals. The Toronto Raptors were the top seed in the conference in 2017-18. Based on that alone, they certainly deserve to be in the conversation as well. Unfortunately, the Raptors have been unable to get by the Cavaliers in the postseason. Not only that, Toronto will have a different look to its roster this season. The Raptors fired Dwane Casey even though he led the team to its best record (59-23) in franchise history. Toronto also moved in a different direction by sending DeMar DeRozan, Jakob Poeltl and a protected 2019 first-round pick to the San Antonio Spurs in exchange for Kawhi Leonard and Danny Green. 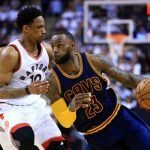 While these additions make the Raptors a formidable opponent, they still don’t have enough to get to the Finals. The team that everyone will be looking at all season is the Boston Celtics. This team has finished No. 1 and No. 2, respectively, over the past two seasons. If not for Irving and Gordon Hayward nursing injuries, the Celtics would have represented the East in the Finals. With Irving and Hayward back in the mix, the Celtics have enough talent to go to the Finals in 2019. 3. Do the Houston Rockets have enough to get out the Western Conference? All the stars appeared to be aligning just right for the Houston Rockets last season. They knocked down more 3-pointers than any other team in the league. They set a franchise record for most wins in a season with 65 and finished with the league’s best record. As expected, the Rockets stormed through the first two rounds of the playoffs, putting them on a collision course with the Golden State Warriors in the conference finals. Things were looking good for the Rockets after taking a 3-2 lead through the first five games. With CP3 out the lineup due to a hamstring injury, the Rockets were eliminated in seven games. Not only did the Rockets fail to reach the Finals for the first time since 1995, but they also lost two of their top defensive players during the NBA offseason in Trevor Ariza (signed with the Phoenix Suns) and Luc Mbah a Moute (signed with Los Angeles Clippers). Although Houston eventually signed Carmelo Anthony, his presence will not replace what the team has lost from a defensive standpoint. What is also worth mentioning is that recent reports have surfaced about the Rockets being interested in Jimmy Butler. Should this happen, the Rockets will be in a position to compete for the top spot in the conference once again. 2. 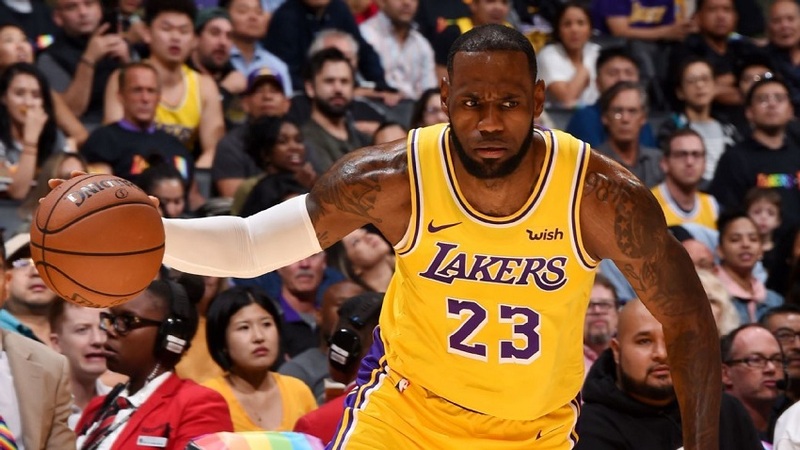 Are the Los Angeles Lakers a playoff team after adding LeBron James? The Lakers fell on hard times over the past few seasons. After eight consecutive playoff appearances from 2005-06 through 2012-13, the Lakers have missed the playoffs the last five seasons. The good news is the Lakers did produce 35 wins last season, their highest win total since the 2012-13 campaign. Even more important, the team acquired arguably the best player of this generation in LeBron James. You know, the guy that has played in the Finals over the last eight years? Does adding a star of James’ caliber instantly transform the Lakers into a playoff contender? According to ESPN “First Take” host Stephen A. Smith, not only will the Lakers make it to the playoffs, but they will also advance as far as the conference finals if they don’t run into the Golden State Warriors along the way. Sure, having James in the fold will certainly help the Lakers improve on the 35 wins they posted last season. Then again, the West has more talent than the East and it has been that way for a while. Minnesota needed 47 wins just to nab the eighth spot in the conference last year. Bearing that in mind, it will be interesting to see if James can transform the Lakers into a playoff team. Two NBA preseason games against the Warriors this week could give us an idea of how the LeBron-Lozo duo will look like. 1. 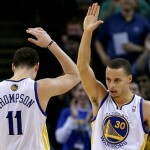 Can anyone stop the Golden State Warriors? The Warriors have become the modern-day dynasty of the NBA. They have led the league in points per game over the last four seasons. Just two years ago, the Dubs recorded the most victories in a season (73). In doing so, they eclipsed the previous record of 72 set by the Chicago Bulls in 1995-96. It is also worth noting the Warriors have won three titles in the past four years. And it would have been four if not for a historic comeback by James and the Cavaliers in the 2016 NBA Finals. Because they’re back-to-back champs, the Warriors should be favored to go all the way once again. Yes, they will get everyone else’s best shot during the regular season. Yes, they may even endure some injuries along the way. As last season proved, this team has enough talent to win it all regardless of the obstacles they will face. With that being said, there is no team that will keep the Warriors from winning it all again. 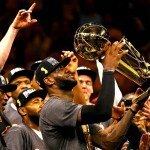 Cleveland Cavaliers win 2016 NBA Championship! 3 Responses to "Top 10 NBA preseason storylines"
The Warriors certainly have talent they need to be unstoppable. With all of the accomplishments the they have under their belt, it would be surprising if they didn’t win it all again. I like the lakers, I agree with Brandy, I think the lakers finally have a chance to return to their former days of glory. Remember Shaq, and Kobe before they were split up. I think the Lakers will definitely make the playoffs with Lebron. I still wonder why he chose the Lakers, though.